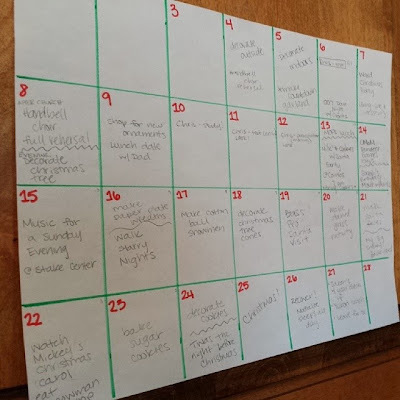 Now, some of those weren't necessarily Christmas activities, written down a few of the day involved Chris's school schedule so I could remember when he was studying for what final so I wouldn't bug him too much prepping for our big event to kick of the 12 Days celebration. We're excited about doing this together. I think I have a really good mix of activities planned that the kids will enjoy and that we'll all enjoy as a family. 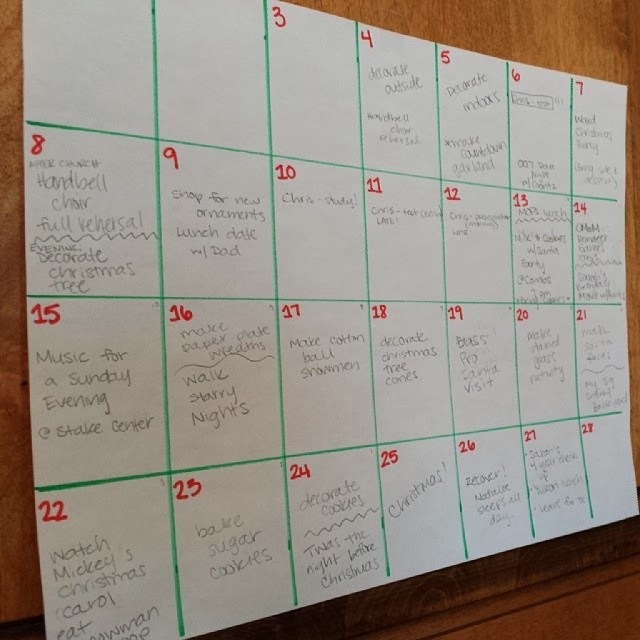 I've also written down on the 26th that "Natalie sleeps all day". Ha! Tonight though we got a bonus activity added to the mix. 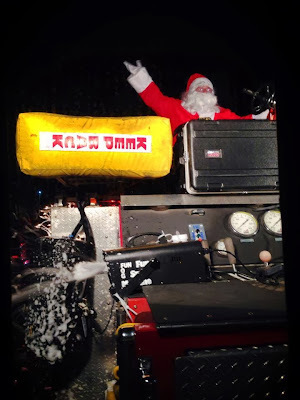 Last year the Town of Atoka started having Santa ride around on the fire truck. He went to just the big neighborhoods so we didn't get to see him so when the map went up I assumed it was the same and ignored it. At about 7:30, I got a text from a neighbor saying Santa was supposed to be coming through our neighborhood. We had just gotten our kids down about 10 minutes ago so I thought what the heck. I threw open their doors and said "Quick! Put your shoes on Santa is coming on a fire truck! Sarah who loves to delay bedtime as much as humanly possible was thrilled with this new plan. Cody was also very excited and he happily yelled, "Good mommy cause I woke up!" To which I explained that he never really went to sleep. 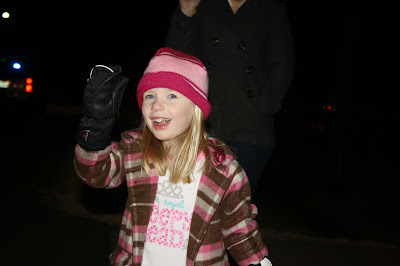 But we bundled our kids up and headed to the drive way to wait. And wait. And the kids excitedly yelled, "Santa, where are you!" Santa was late and I just about gave up hope and abandoned our kids with Chris because I was cold. But then we heard the sirens and the fire truck honking and sure enough he came down our street. Watching and waving as Santa drove by. For me, personally, it was a little anti-climatic. But I was also grumpy because I was cold. Santa came flying down our street (he was probably going about 20 mph). So it was quick wave and there he went. I've heard in the earlier neighborhoods they slowed down to almost a stop so the kids could wave and he could ho ho ho and stuff. But I guess by the time they got to us they realized they were behind schedule and flew through our little street. Oh well, the kids didn't mind. They were very excited and could have cared less that it was freezing. I'm not sure which Cody was more excited about, Santa or the fire truck. 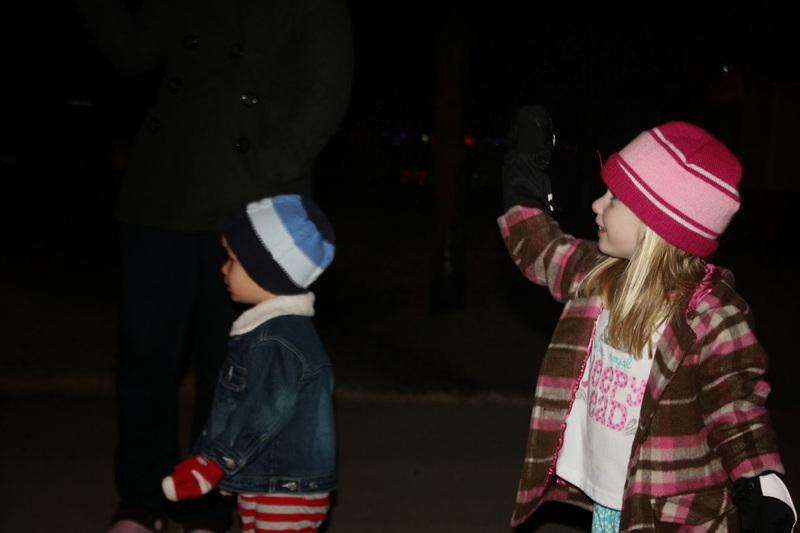 It's a nice little tradition that our small town has started. And it was a great way to get the ball rolling for our 12 Days celebration.